Beta programs have been around for a long time, and they’re a win-win for most situations. If you’re not familiar with beta testing How to Get New Features in Android Apps Before Anyone Else How to Get New Features in Android Apps Before Anyone Else Want to beta test new versions of your favorite apps before they're officially released? It's now easier than ever. Read More , it’s the phase of a product where it’s nearly complete but requires a bit more polish (and input from the outside) before its final release. Beta programs benefit users who want to be on the cutting edge by giving them the newest software releases. Because they also provide the developers with valuable diagnostic info, they’re quite popular in all kind of software. Google Play introduced its beta program What Does "Beta Software" Really Mean? What Does "Beta Software" Really Mean? What does it mean for a project to be in beta and should you care? Read More a few months ago, which lets you test out beta versions of popular apps like Snapchat and Twitter. If you want to go crazy and start testing out new versions of Chrome on your Android device, get excited. 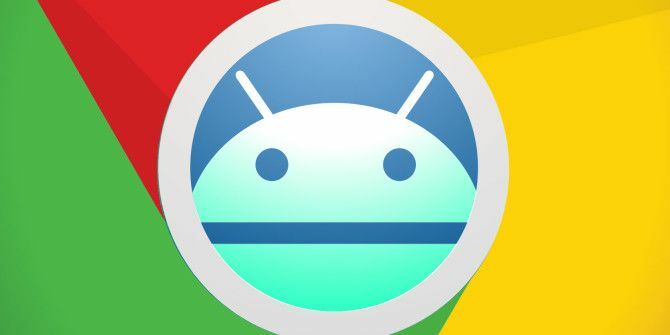 Chrome Canary, the bleeding-edge version of Chrome that updates daily, is now available to use on Android as well as desktop platforms. Named for canaries used in mines to detect poisonous gasses, Chrome Canary is a few steps back from a beta build. You can expect to see plenty of bugs while using it, as it can receive up to seven updates per week. Of course, it also carries the newest features to come from the Chrome team. If you don’t mind some rough edges, you could find a lot to love with Canary. The Canary build runs separately from the stable Chrome browser on your phone, so don’t worry about having to choose. Not interested in using Chrome at all? Check out how to find the best mobile browser for you 5 Simple Ways to Choose the Best Mobile Browser for You 5 Simple Ways to Choose the Best Mobile Browser for You Choosing a browser for your mobile device, whether Android or iOS -- which one do you choose? If your head spins from the variety of mobile browser options, then ask yourself these five questions. Read More . Will you give Chrome Canary a try, or do you prefer to stick with stable software? Let us know if you’re beta testing any software in the comments!